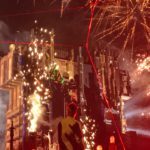 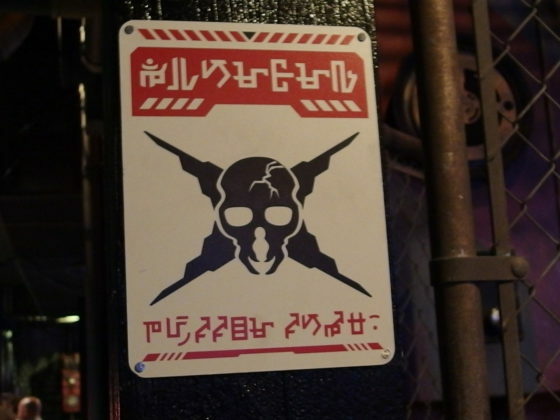 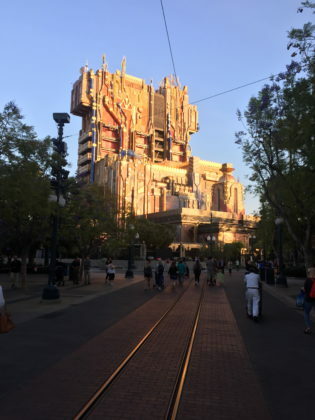 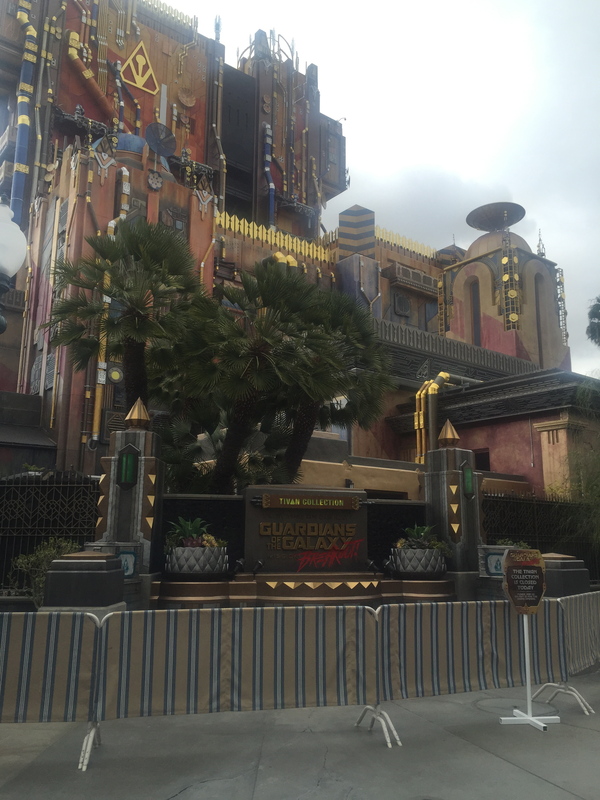 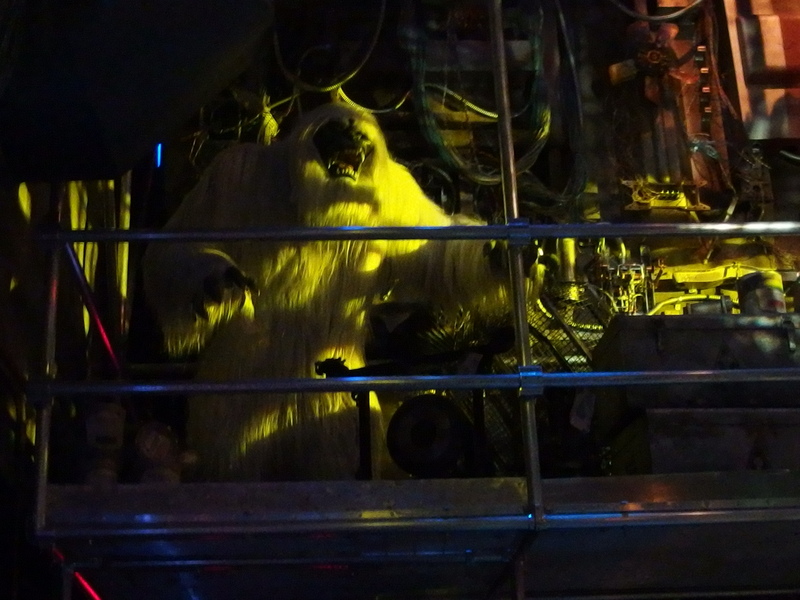 Guardians of the Galaxy — Mission: BREAKOUT! 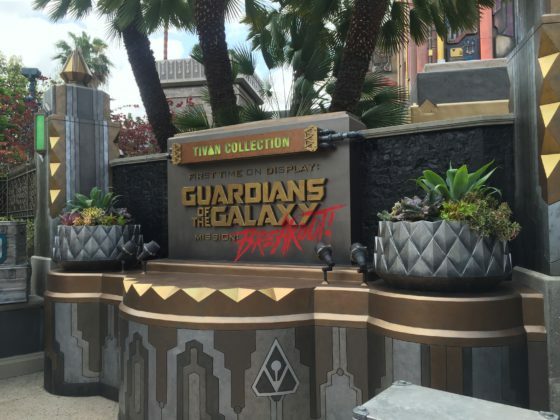 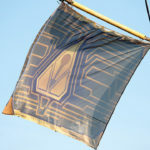 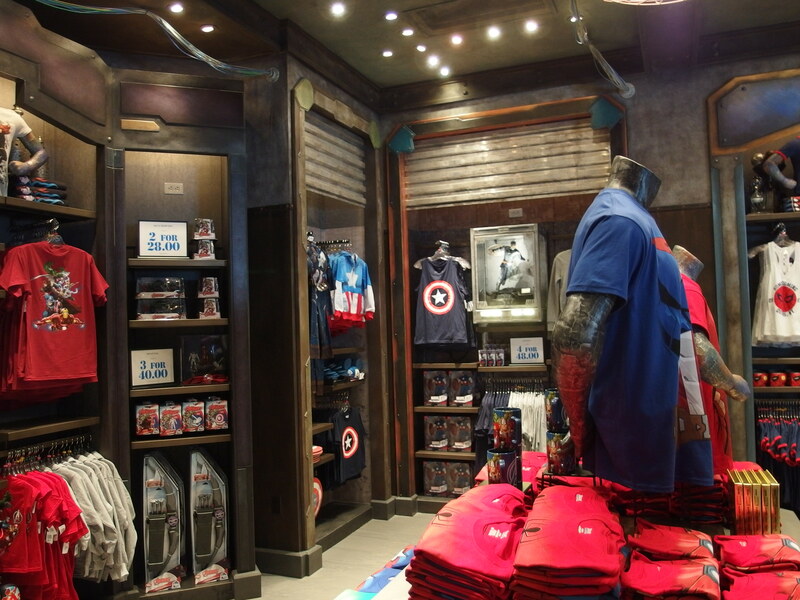 delivers a thrilling new experience for Disney California Adventure and also marks the first Marvel-based theme park attraction in a domestic Disney theme park. The Collector’s Fortress, we are told, dropped from the sky and is about to open for business. 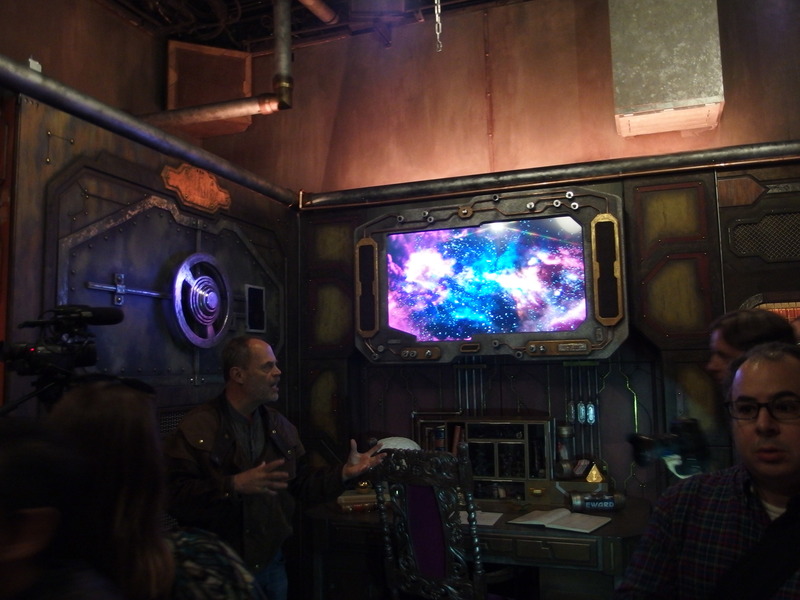 The Collector, Taneleer Tivan, promises a truly VIP experience—the first public exhibition of his latest (and greatest) acquisition, the Guardians of the Galaxy. 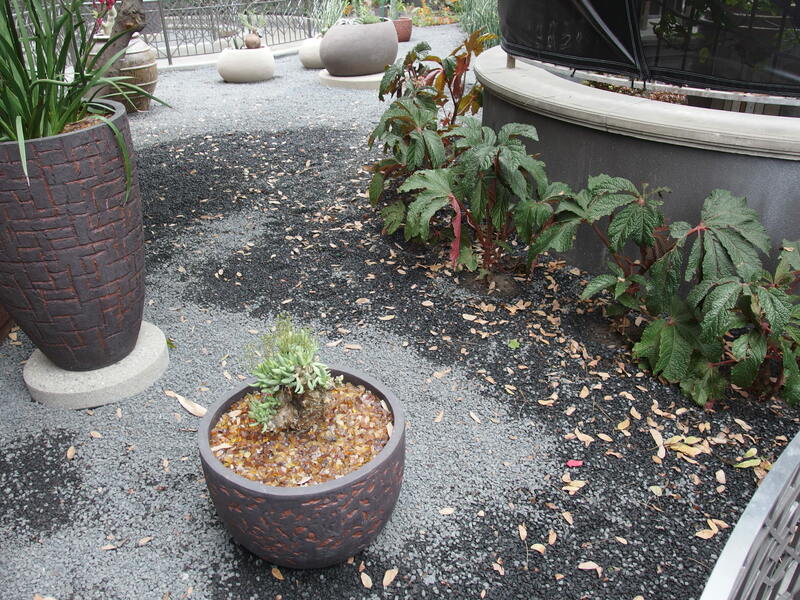 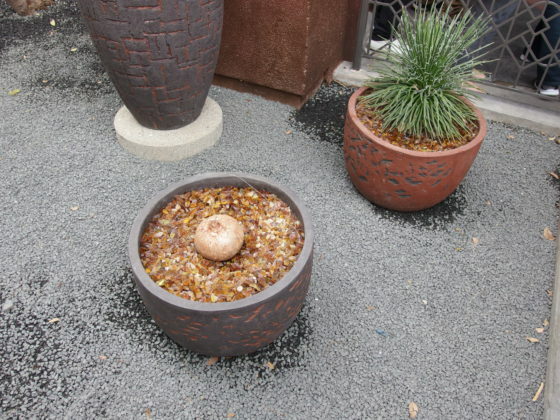 Guests approaching the Fortress will know they are seeing something not of this world as scorched and altered pavement marks its perimeter. 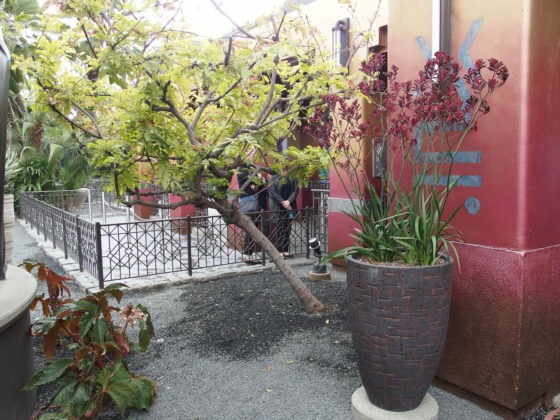 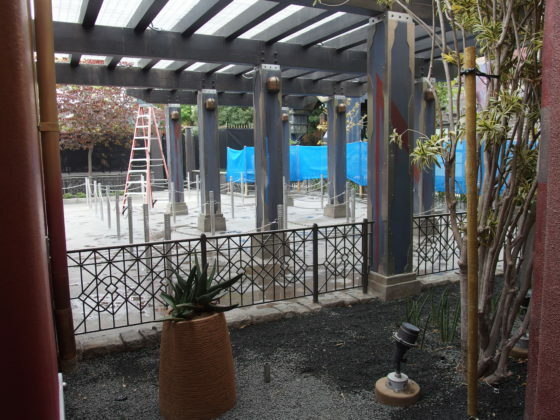 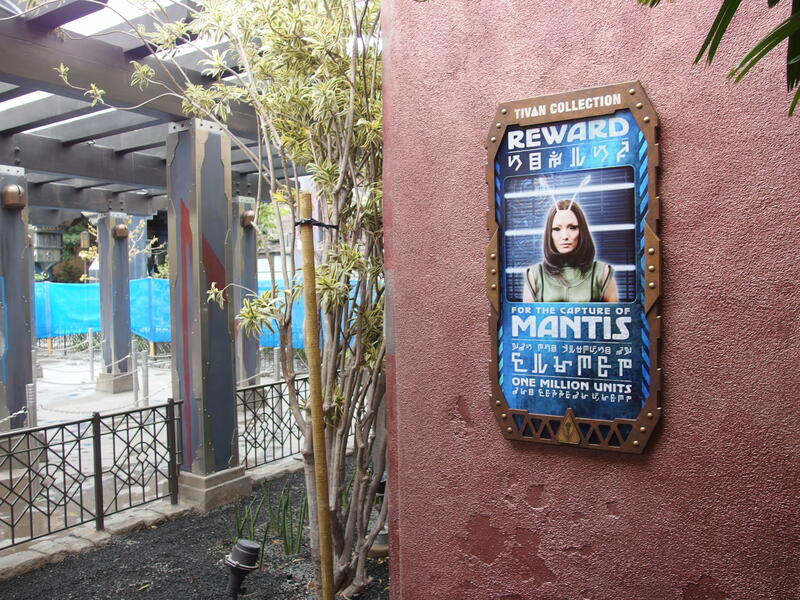 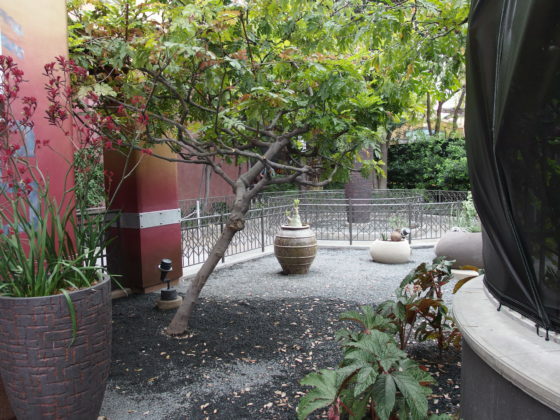 Once past this blast zone, tourists will enter Tivan’s Oasis. The gardens are filled not only with botanical wonders, but a carefully curated collection of sounds as well. 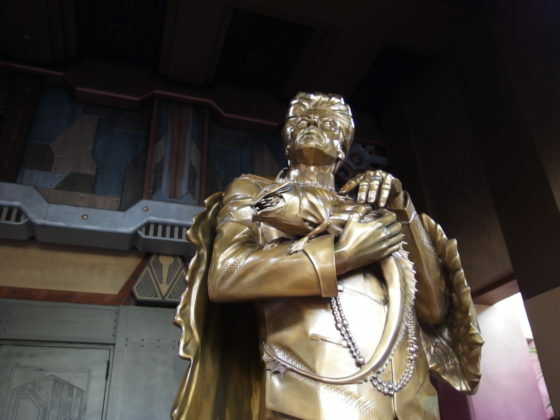 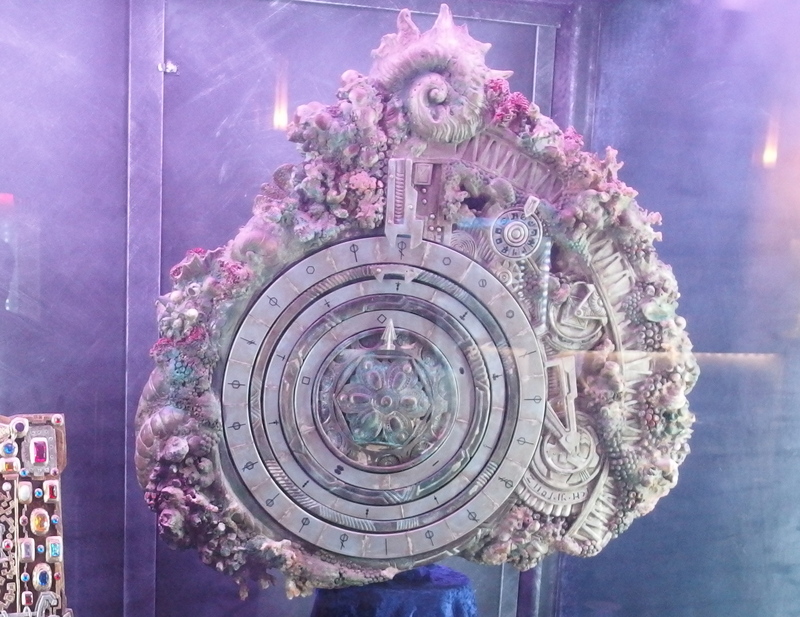 Dominating the entrance is a heroic-sized statue of the Collector. 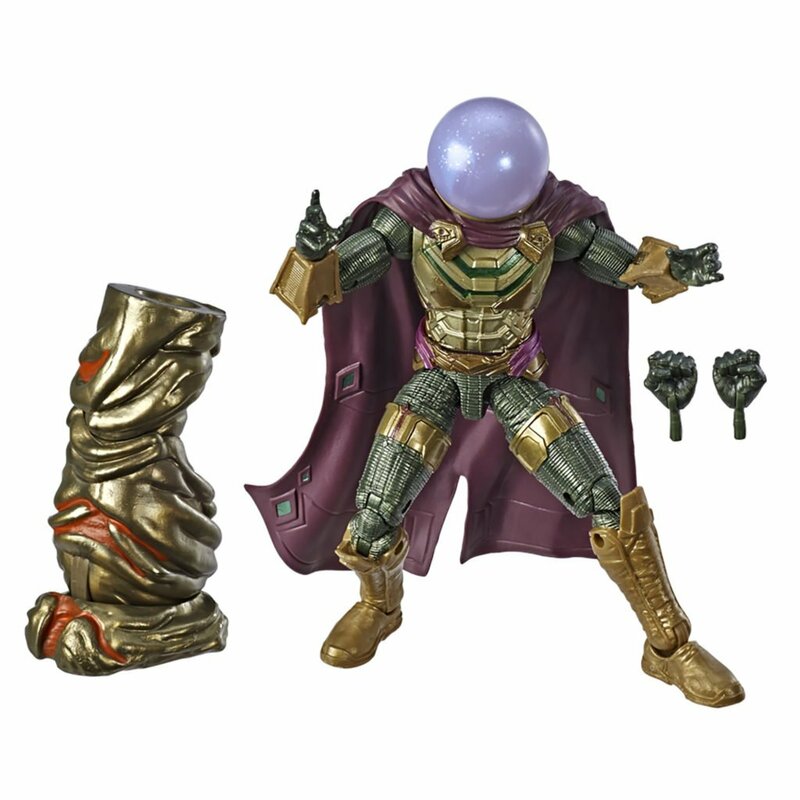 The gilded figure is splendidly robed and holds a prized pet Orloni. 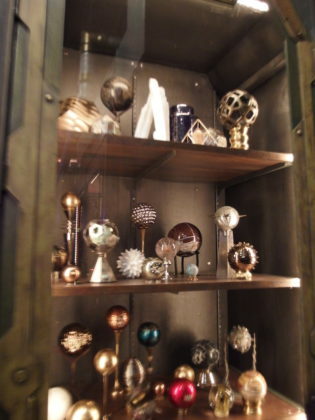 The collection itself is immediately through the front doors. 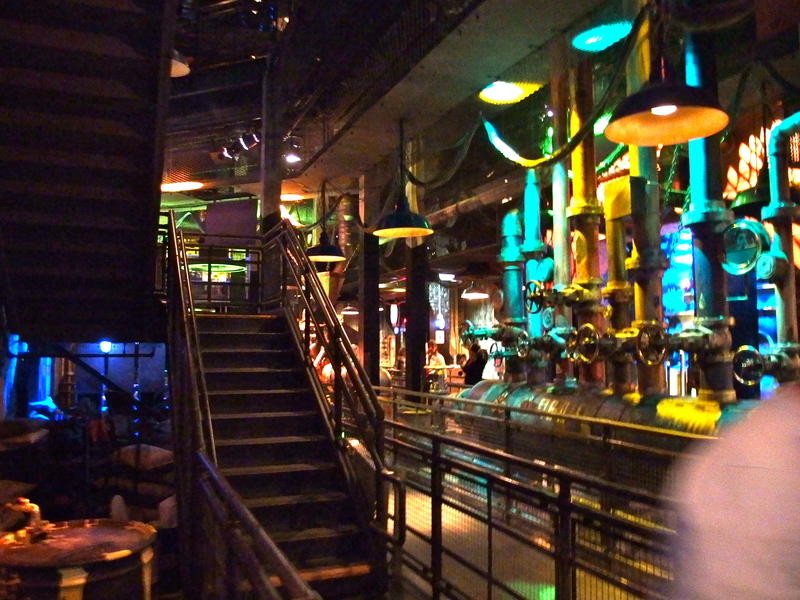 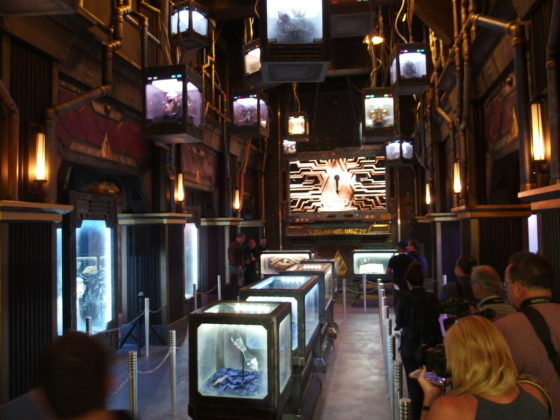 Cases are ranged along the walls, down the center of the room, and even suspended from the ceiling. 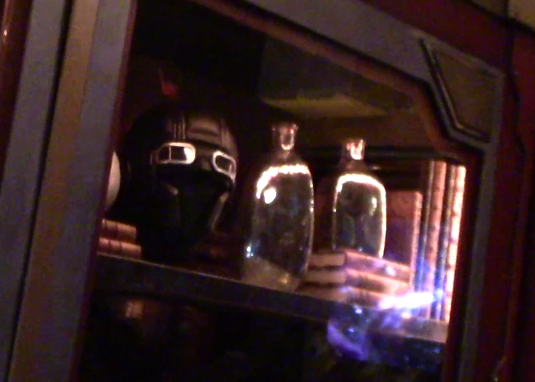 The riches of the Tivan Collection are not confined to static artifacts (though there are plenty of these). 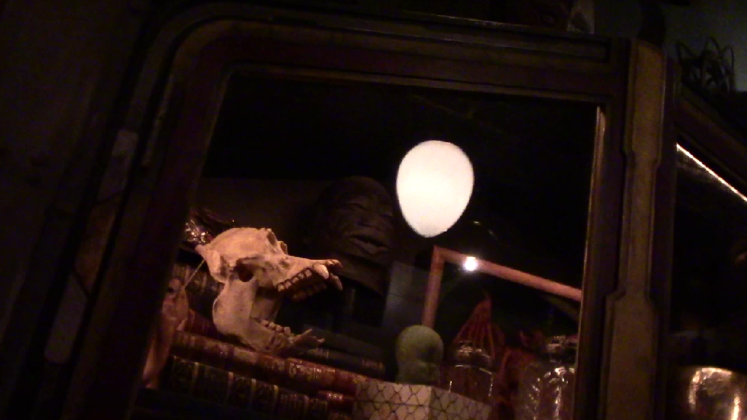 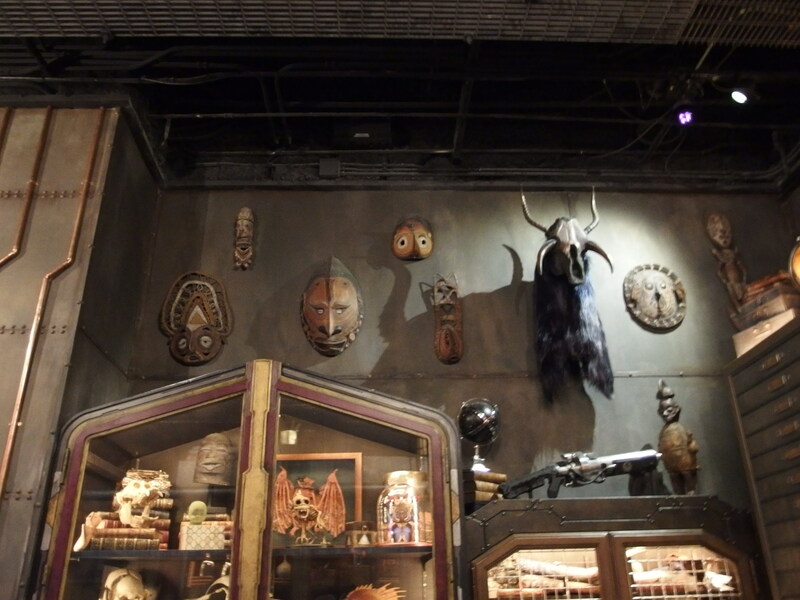 The Collector prides himself on his gallery of living specimens, creatures brought together in the largest private zoo since Noah set sail. 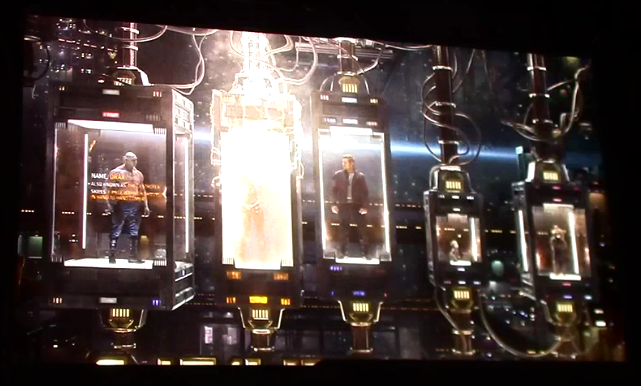 But this is just the appetizer for the feast that is in store. 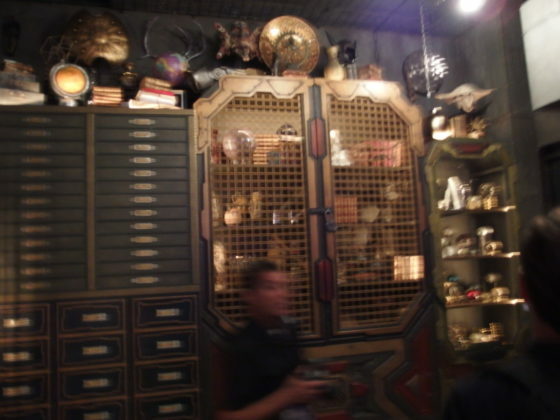 While the many splendors of the exhibit hall more than establish the Collector’s prowess, there is an invitation to even greater things to come. 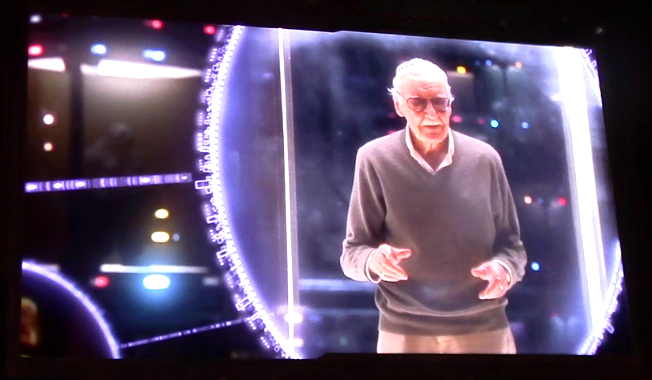 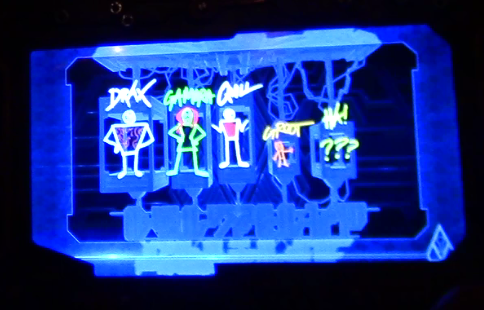 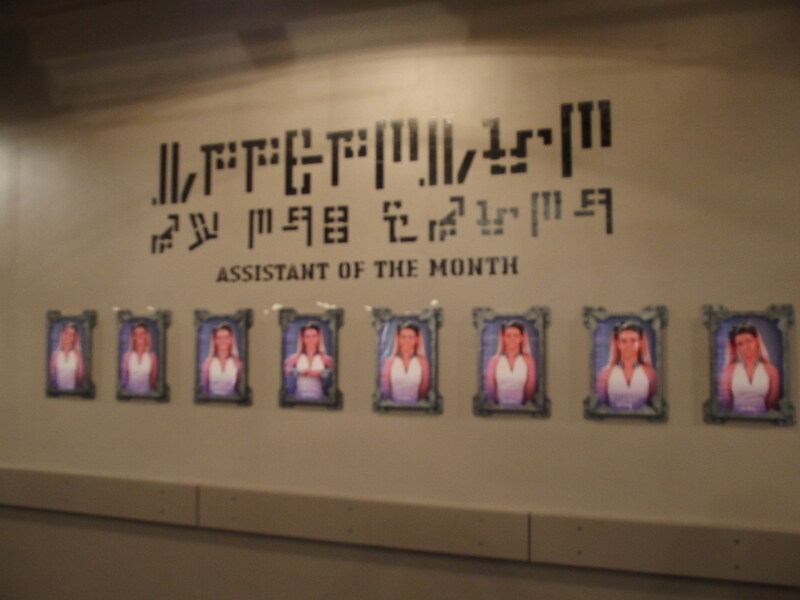 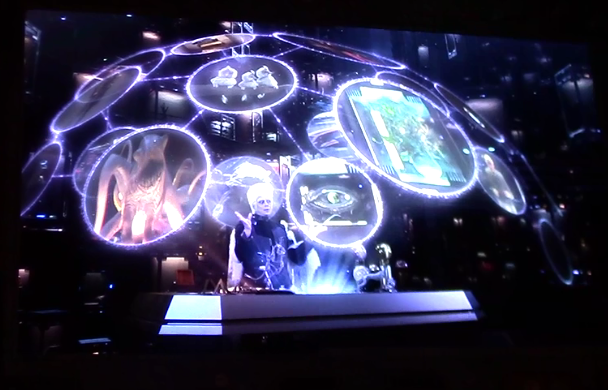 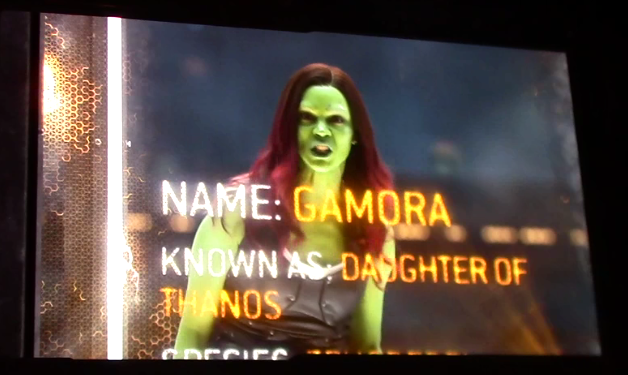 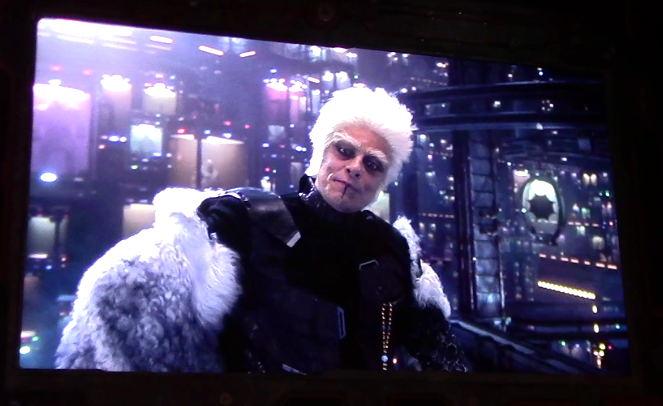 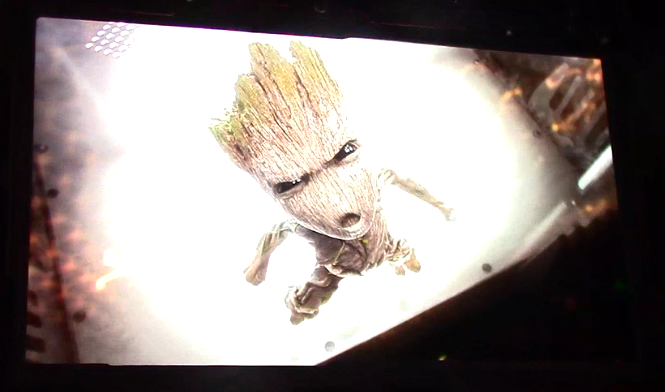 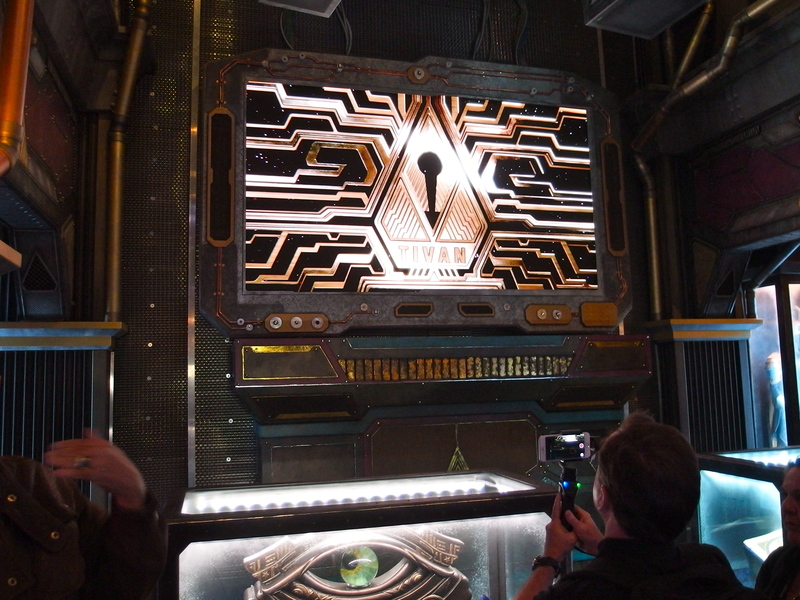 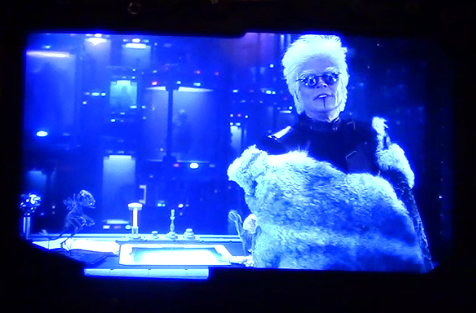 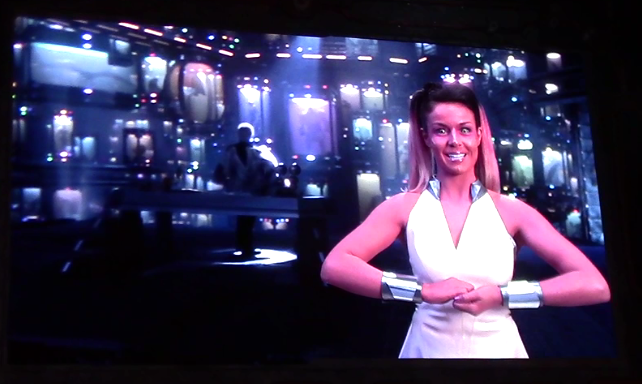 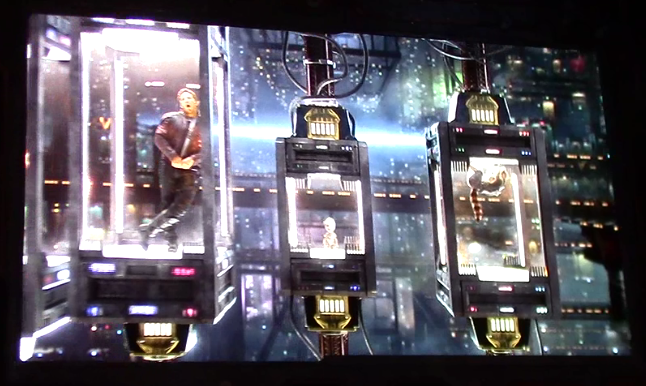 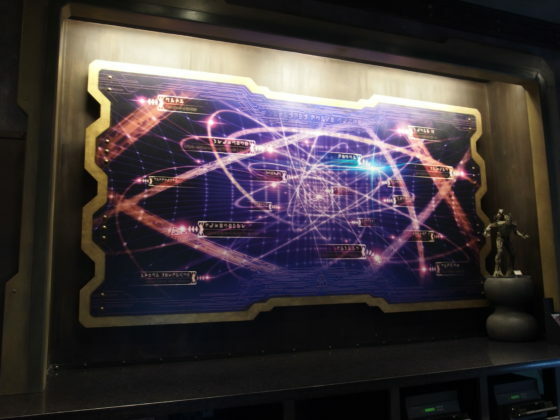 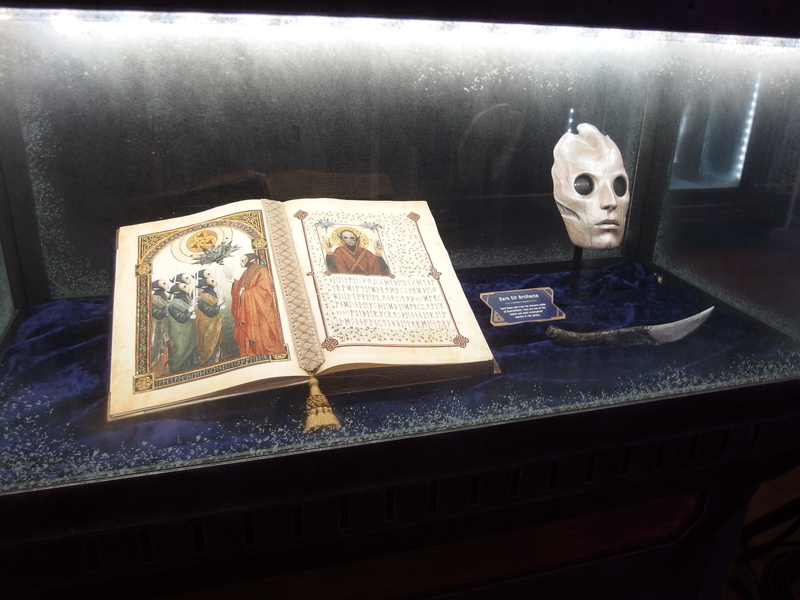 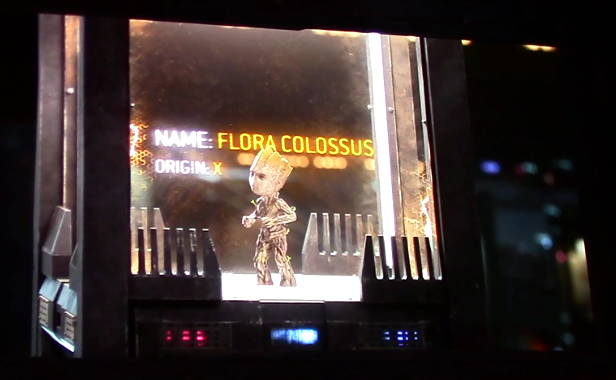 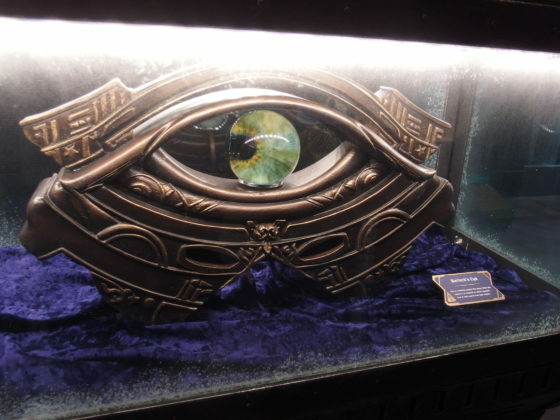 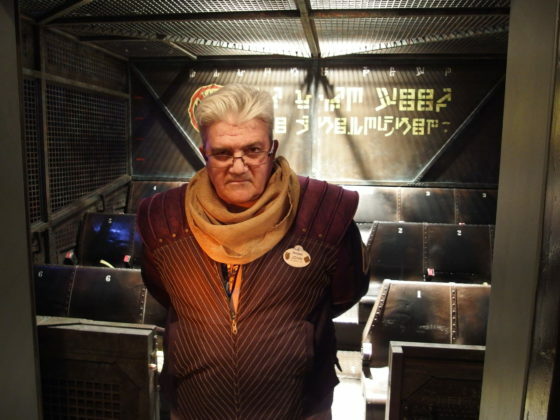 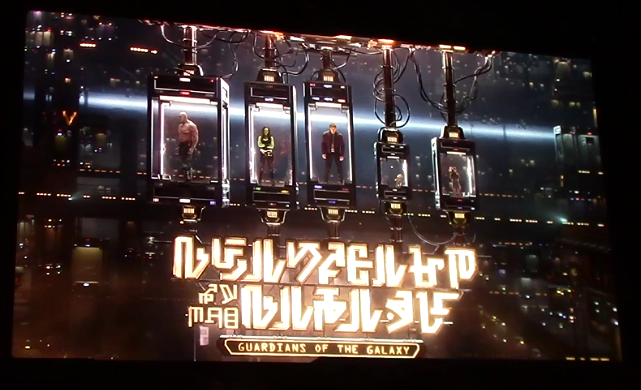 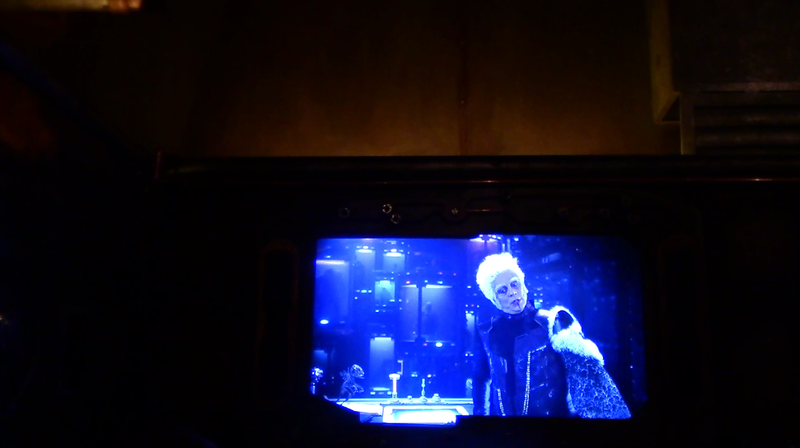 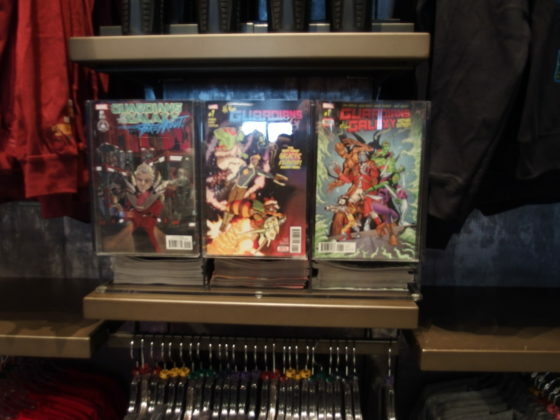 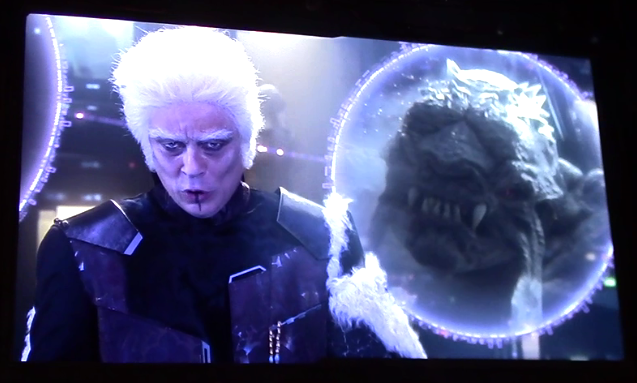 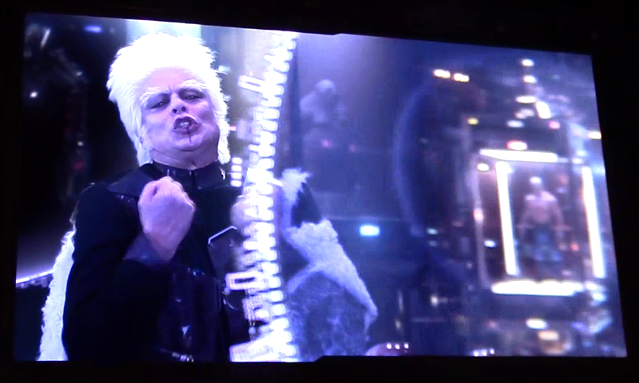 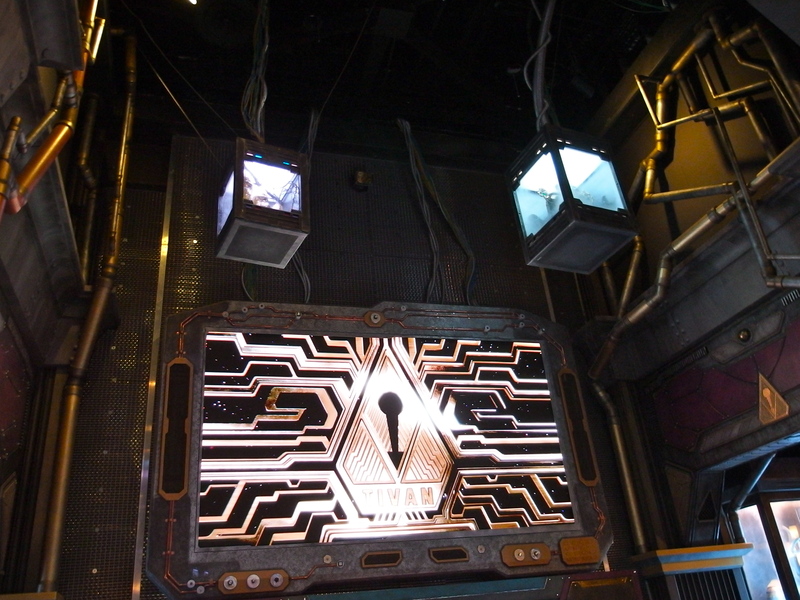 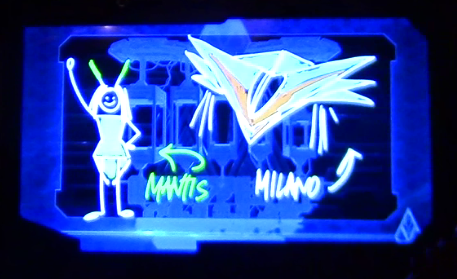 The Collector is not there in person (he does keep busy, after all), but there is a video greeting in which he welcomes his guests, explains procedures, and promises an unlimited look at the Guardians of the Galaxy. 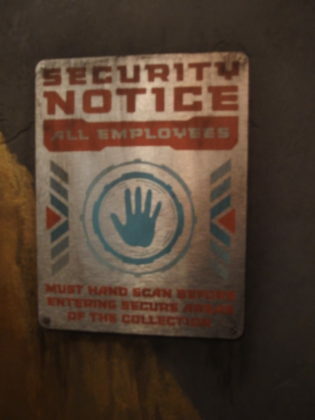 To gain entrance to this VIP experience, one has only to submit to a relatively harmless bio-scan. 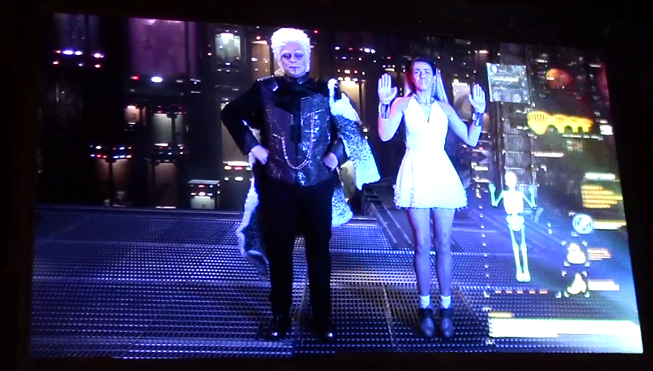 Simply raising one’s hands in the air completes the procedure. 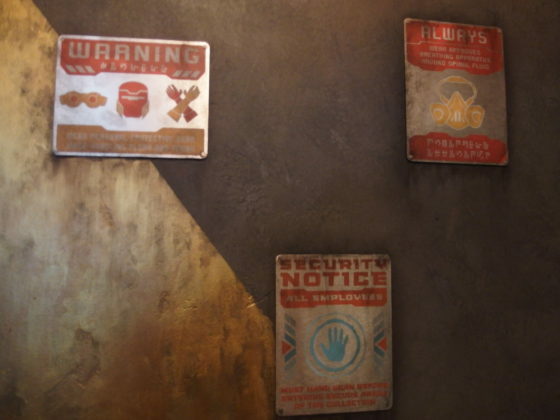 In no time, entrance is gained to Tivan’s office. 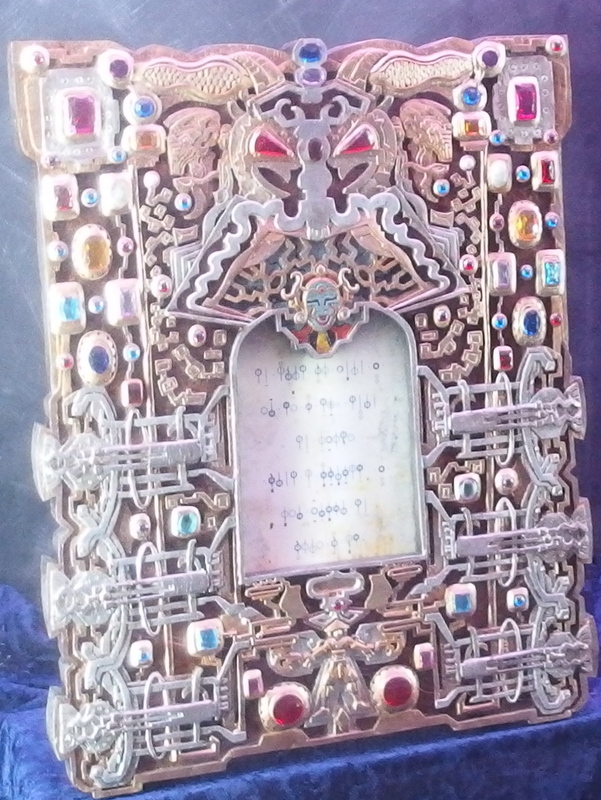 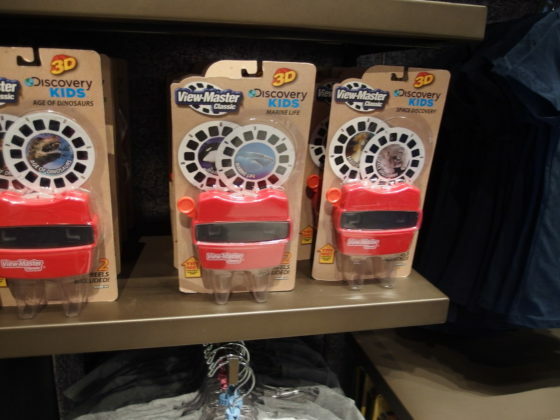 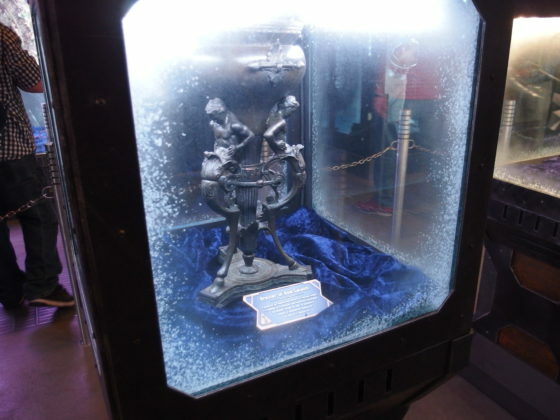 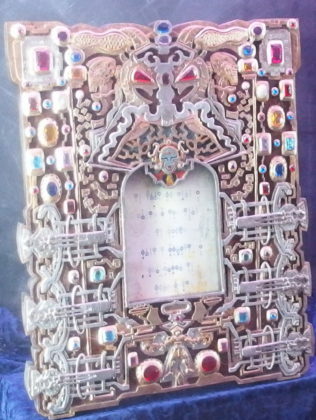 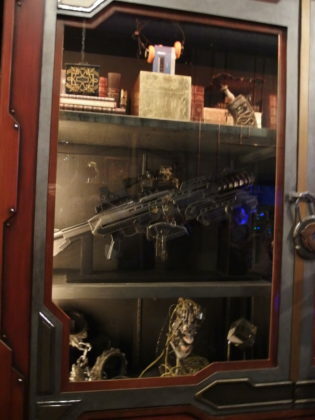 There, guests will find his most precious artifacts, his desk and files, and another video to give explicit details on the encounter that is to come. 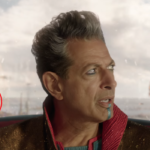 But it is not to be. 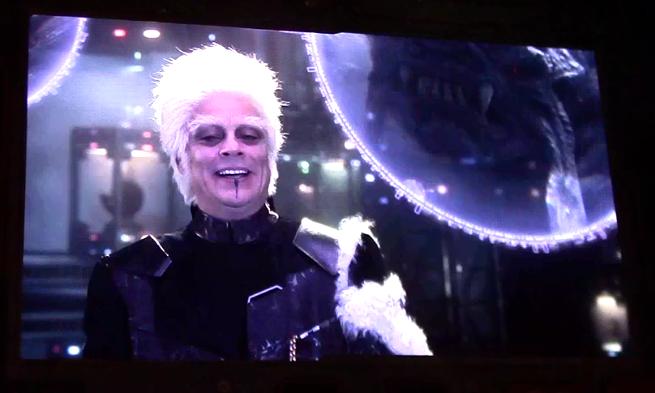 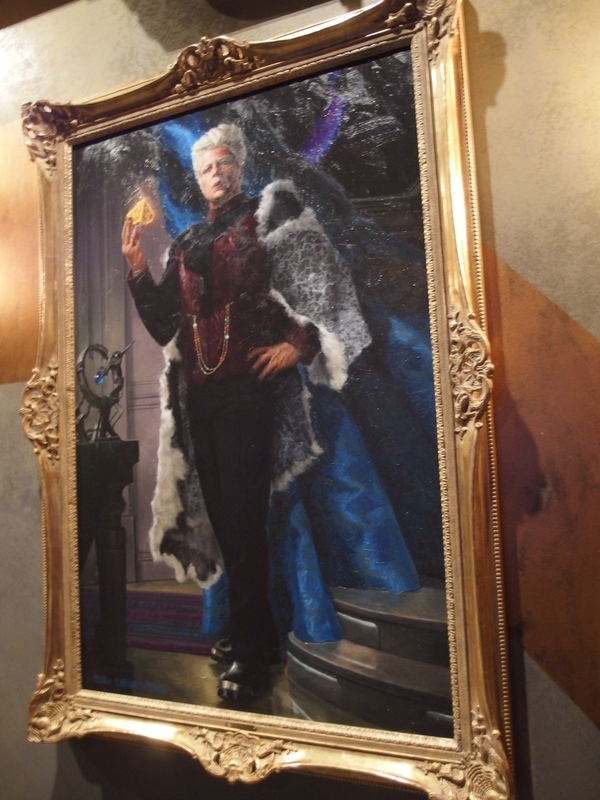 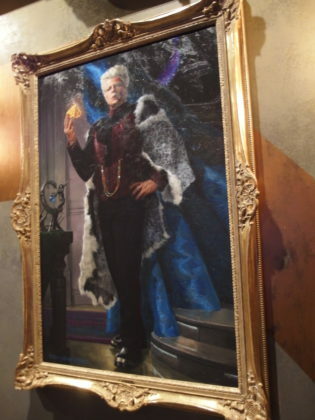 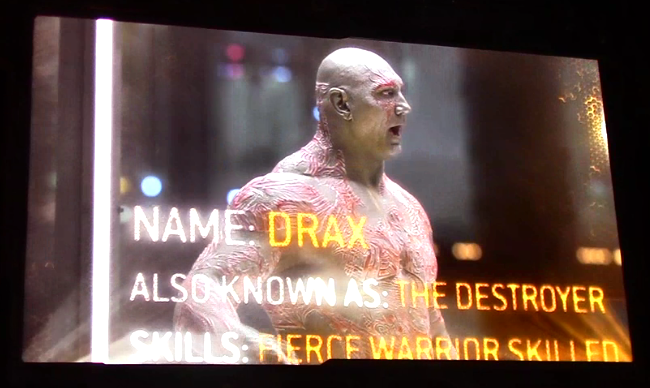 As the Collector’s image fills the screen, his unctuous dialogue is cut off, replaced by a raspy voice that will be familiar to fans of the Guardians of the Galaxy. 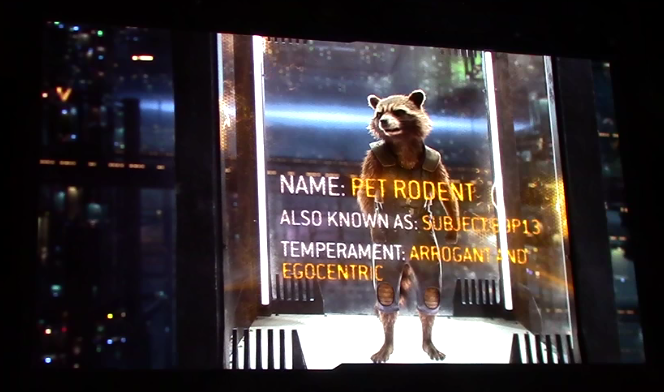 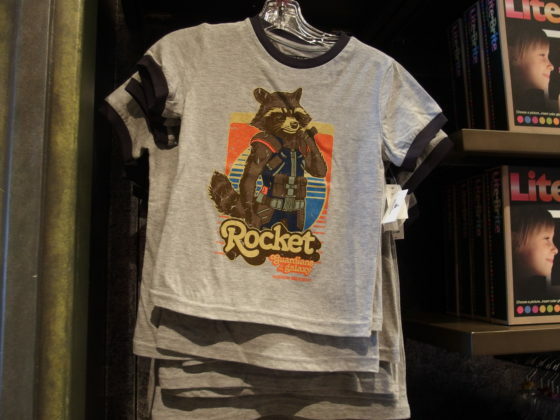 Rocket Raccoon, the “pet rodent,” proves that no prison cell can hold him. 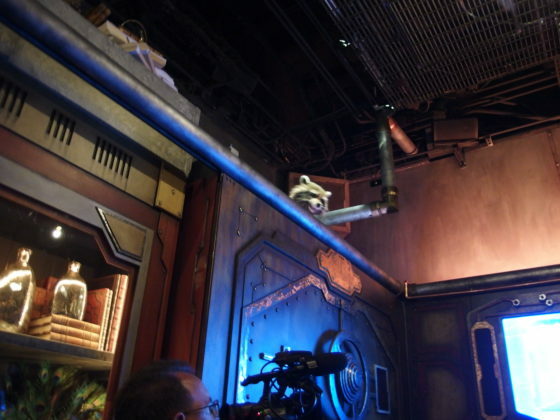 In no time at all, he is perched on a shelf above the crowd, offering his version of the tour that is to follow. 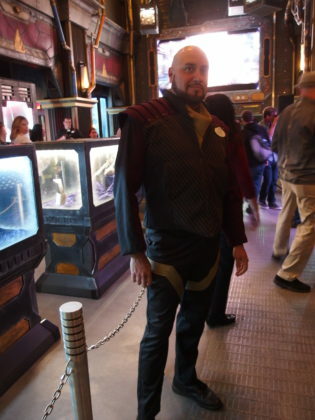 His idea of a good time is not in line with Tanaleer Tivan’s. 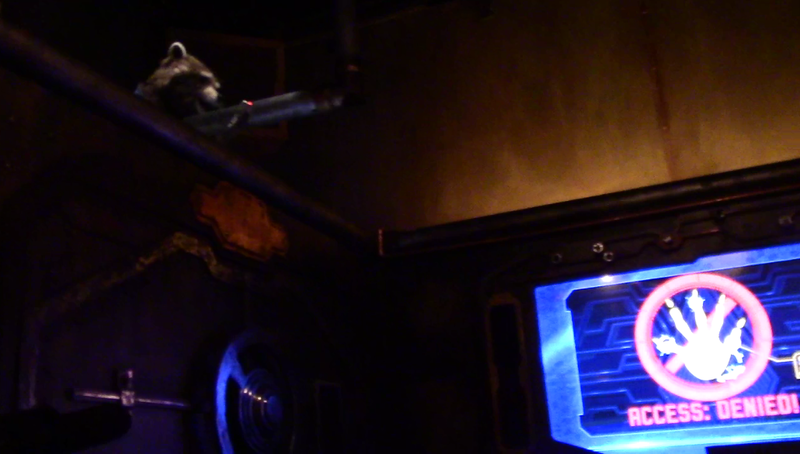 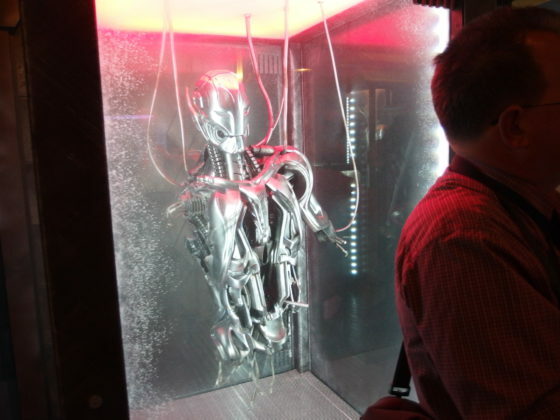 Rocket does, however, need the help of the Collector’s guests. 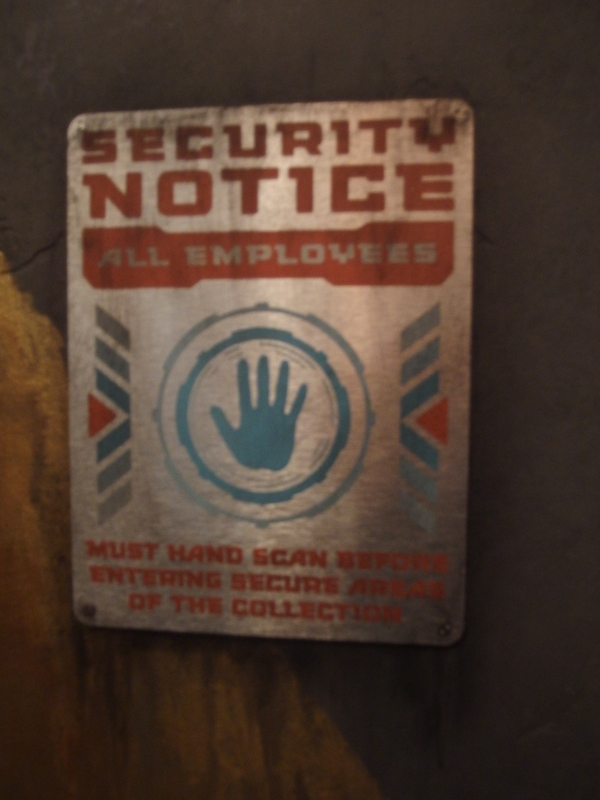 You see, he has not been bio-scanned, and therefore needs to have guests with hands to access certain areas. 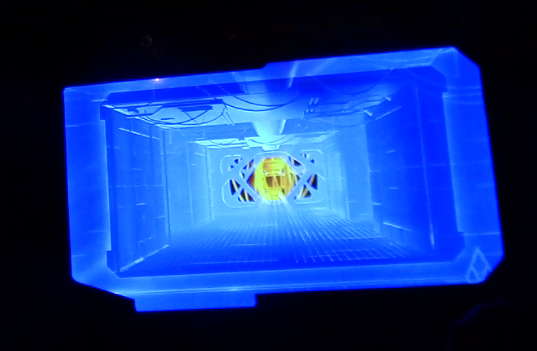 As he hurries ahead, one of Tivan’s assistants ushers the crowd through a back way and into a gantry lift. 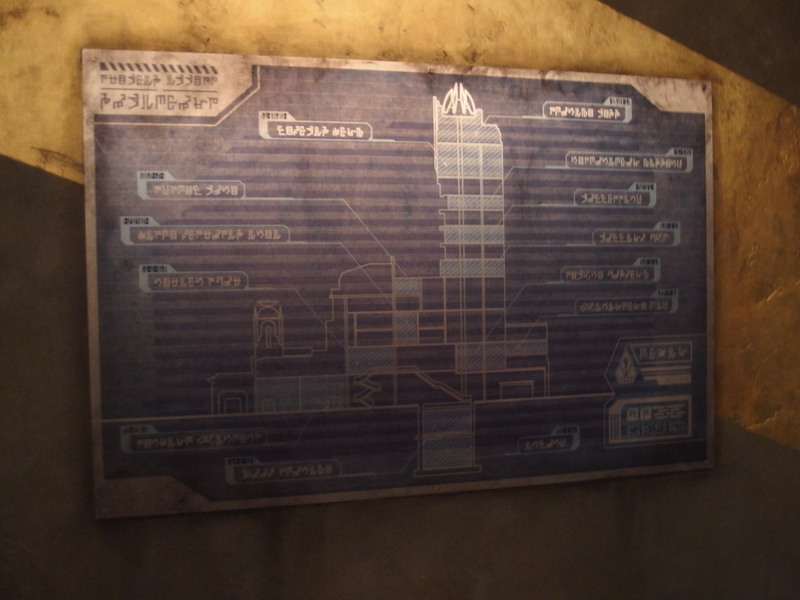 Before describing just how Rocket’s plan plays out, a description of the maintenance bay is in order. 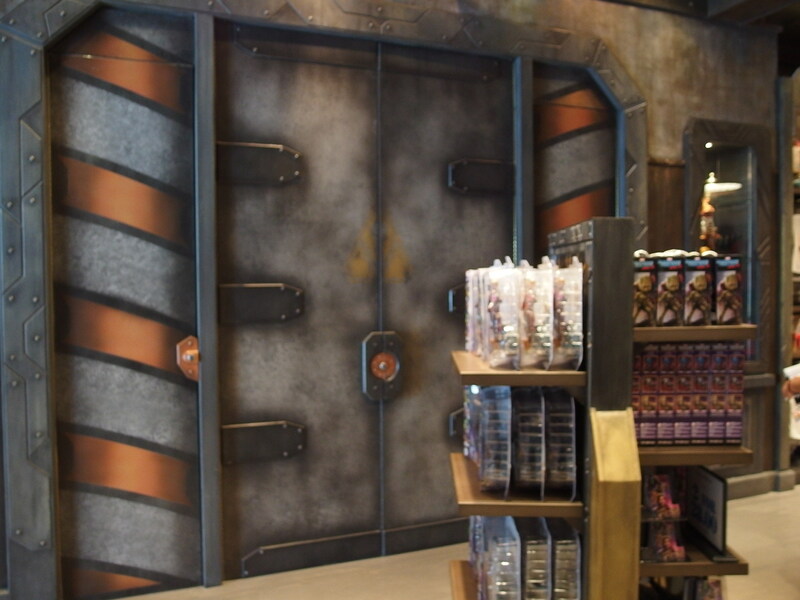 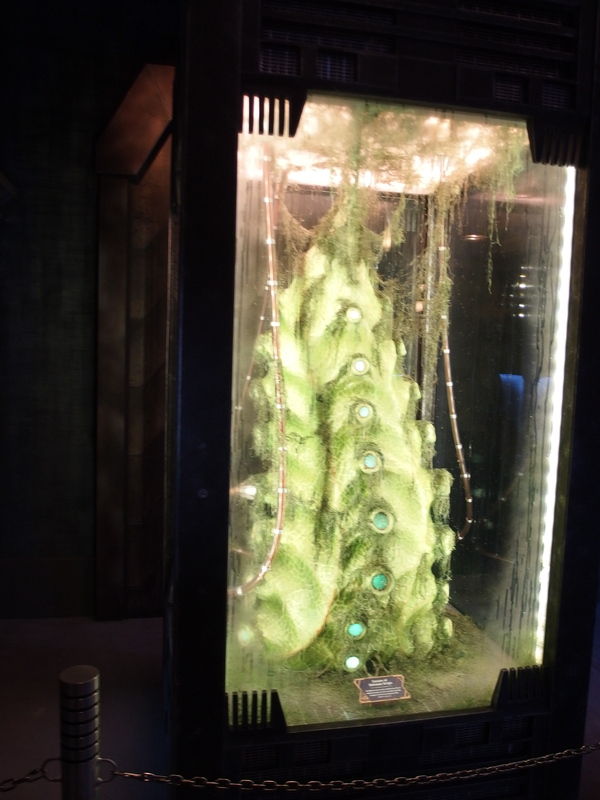 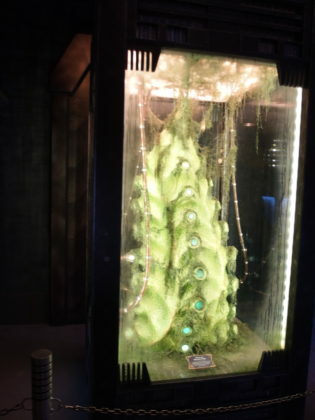 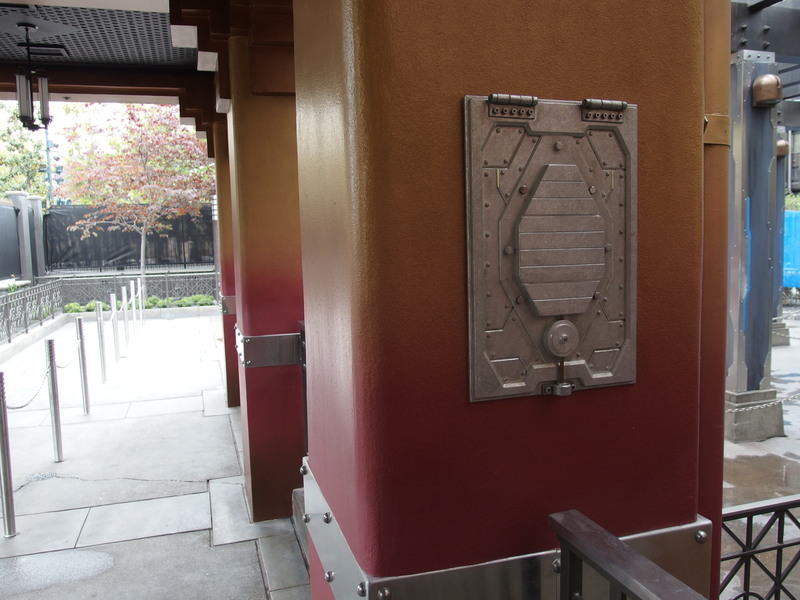 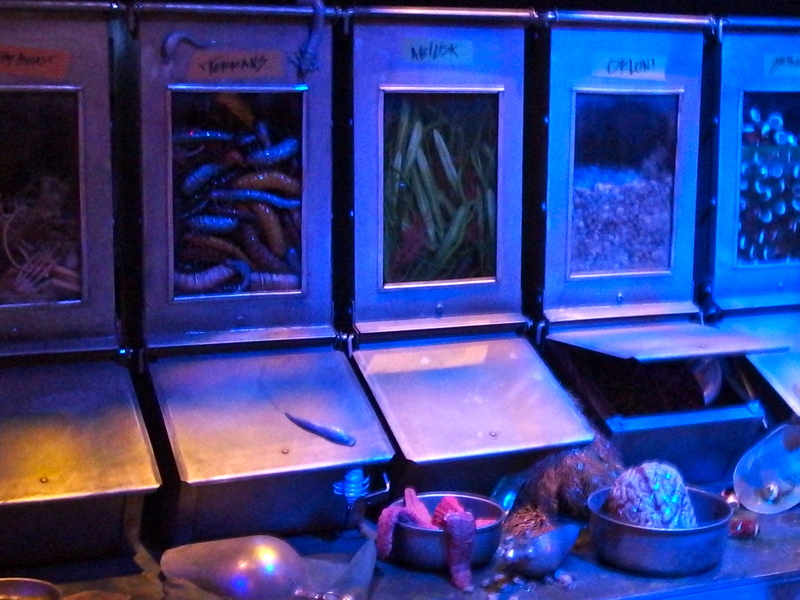 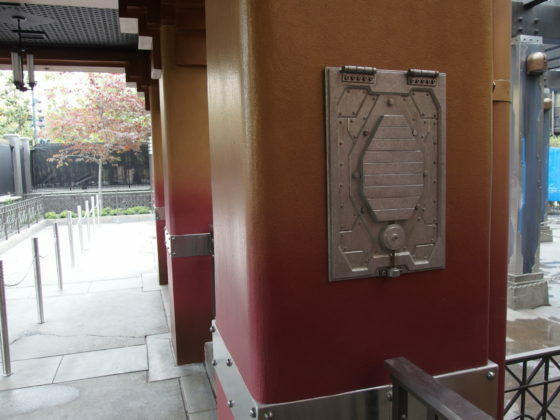 This area is used by Tivan’s assistants to service the vast generator that secures the cases in the fortress, as well as provide an area to care for the many living specimens that are included in the collection. 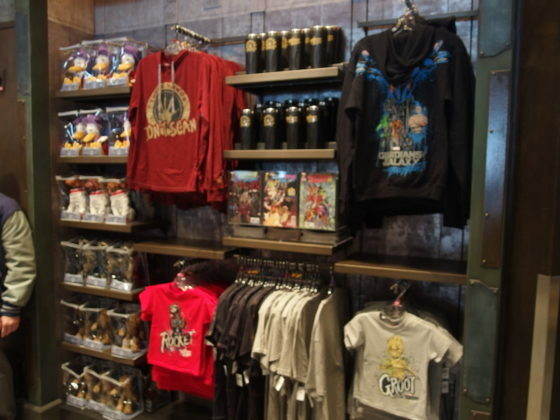 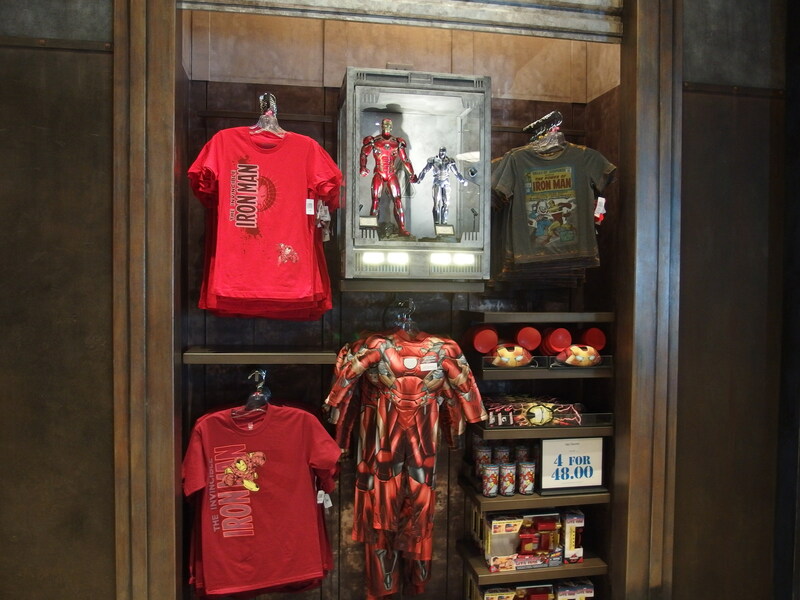 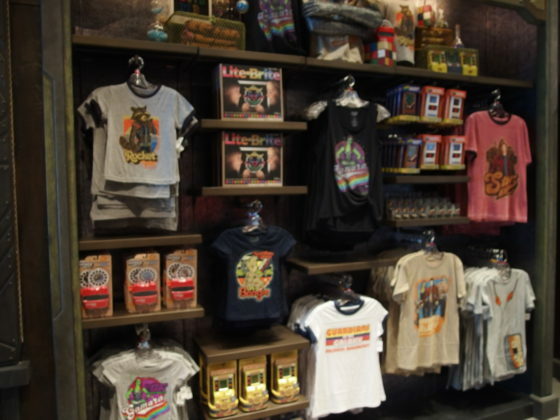 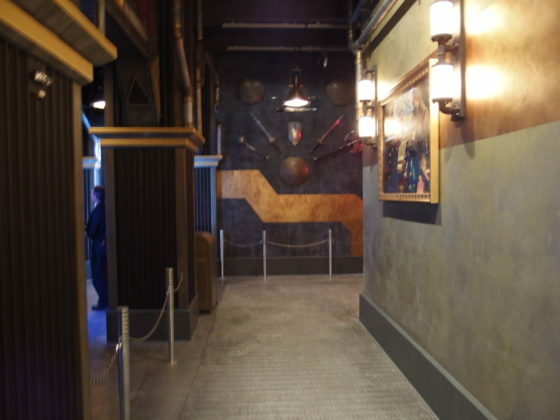 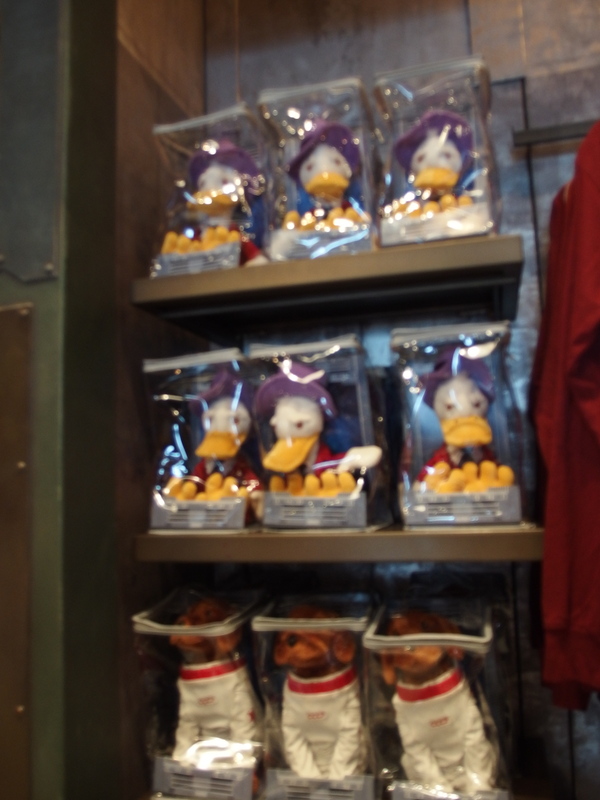 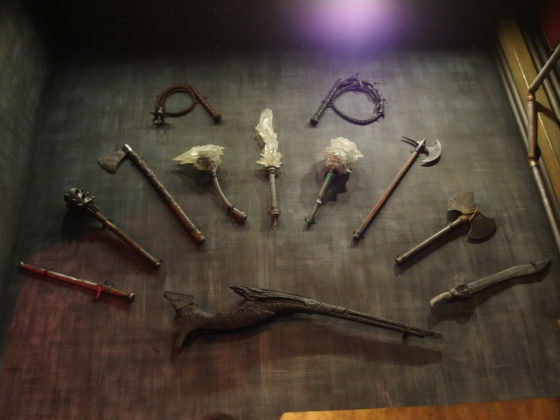 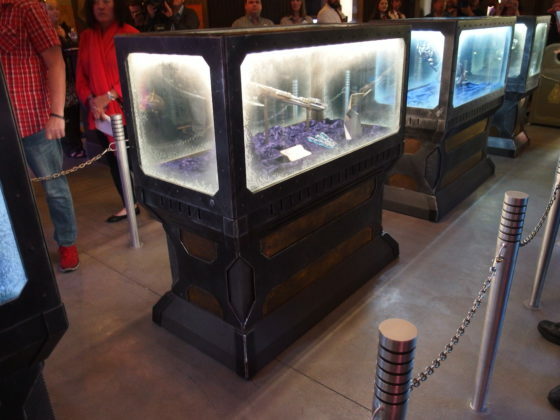 Even in this space guests will be able to spot fascinating artifacts, including some gathered in the immediate vicinity of the Collector’s Fortress. 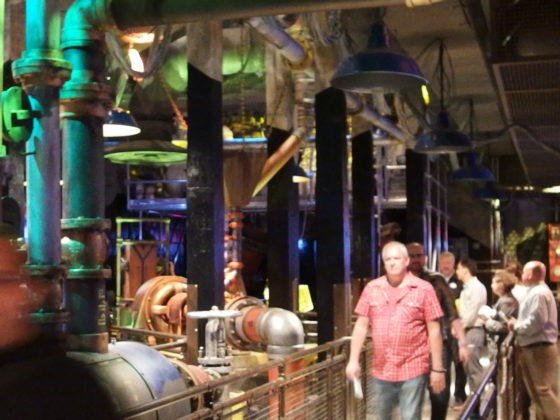 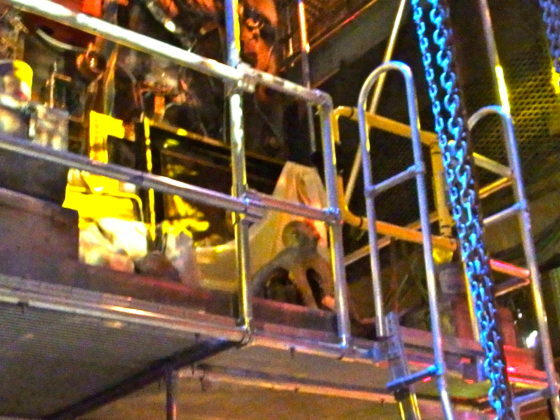 After passing through the maintenance bay, guests are carefully handed into a gantry lift. 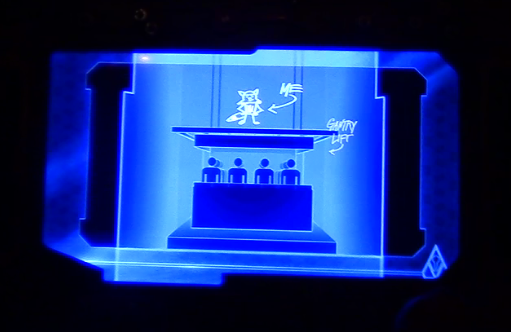 Ostensibly, this is the manner in which they will arrive at a prime viewing location for the imprisoned Guardians. 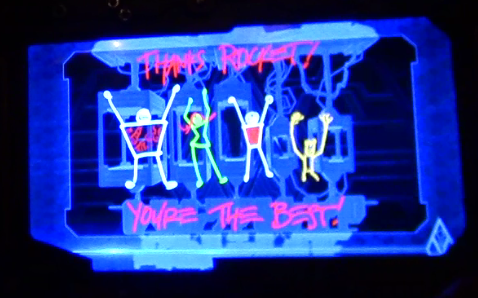 But as Rocket has explained, what actually happens is that the lift shoots straight to the upper regions of the fortress. 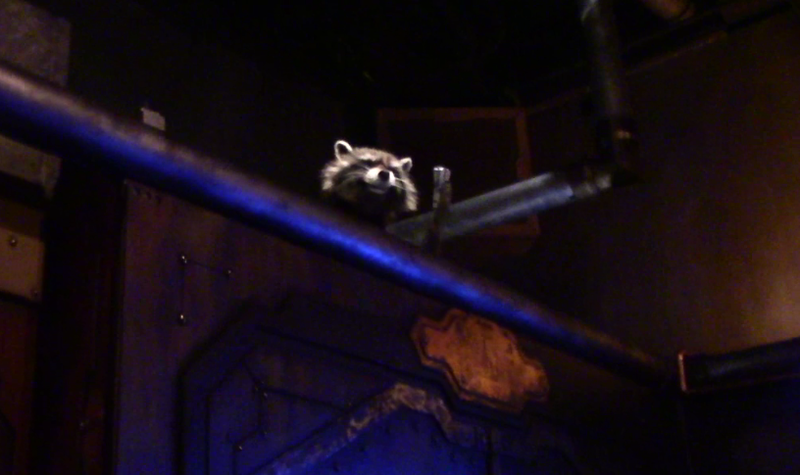 There, Rocket (who has stowed away on the roof) makes short work of the Collector’s massive generator. 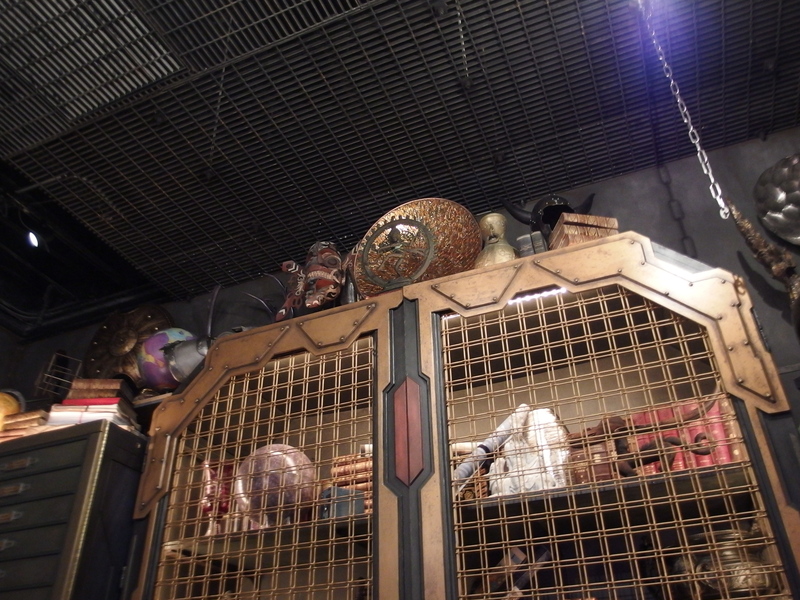 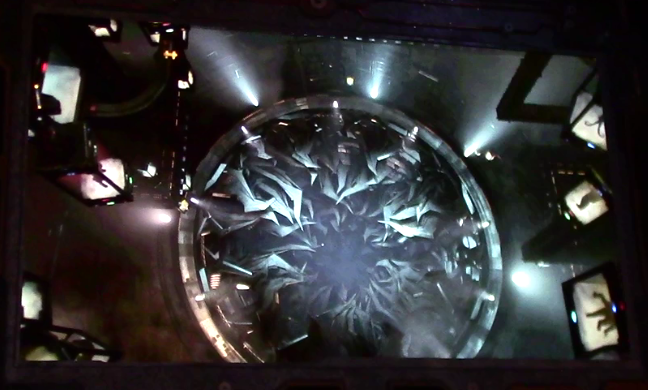 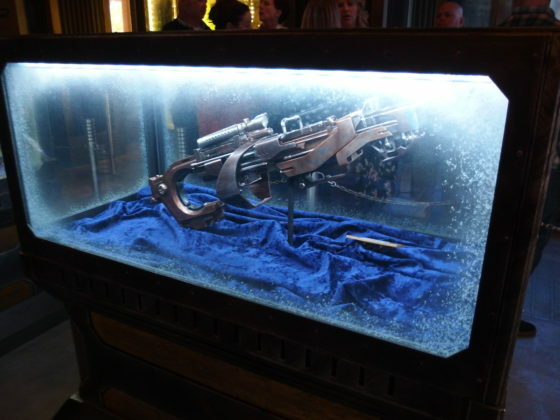 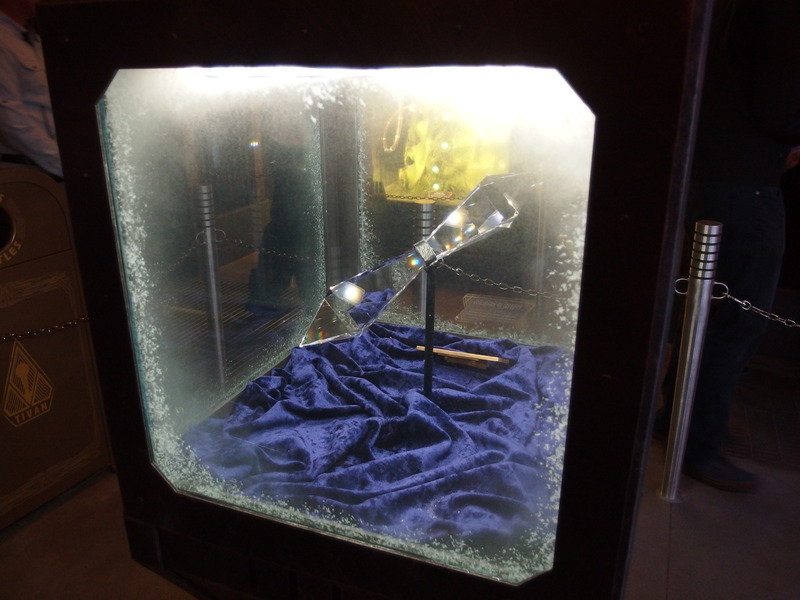 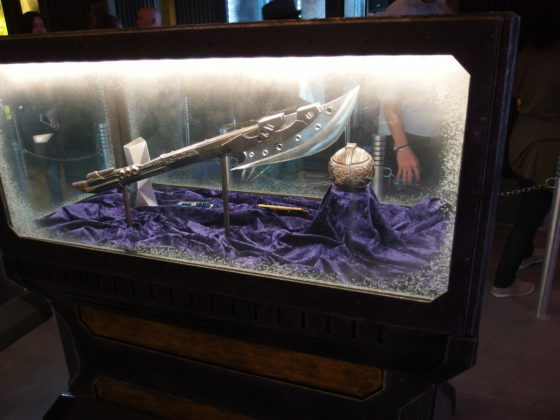 Cutting off the power frees the rest of the Guardians, along with every specimen in the fortress. It also, incidentally, cuts off power to the gantry lift and… what goes up, must come down. Fortunately, as the gantry drops, there are stops along the way. 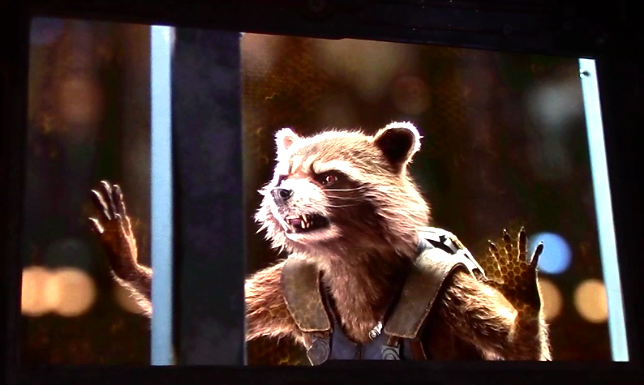 Lurching through the fortress, there are multiple views of the newly freed Guardians, dealing with the chaos that has resulted from Rocket’s handiwork. 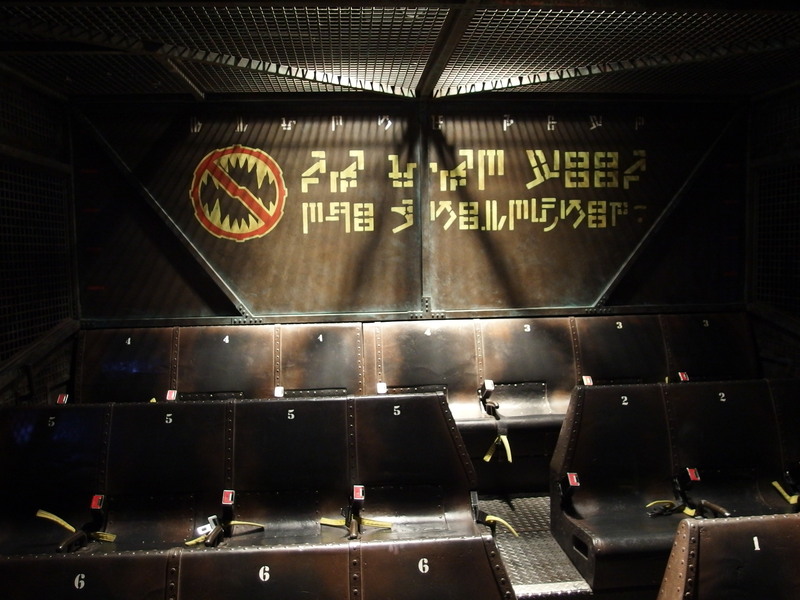 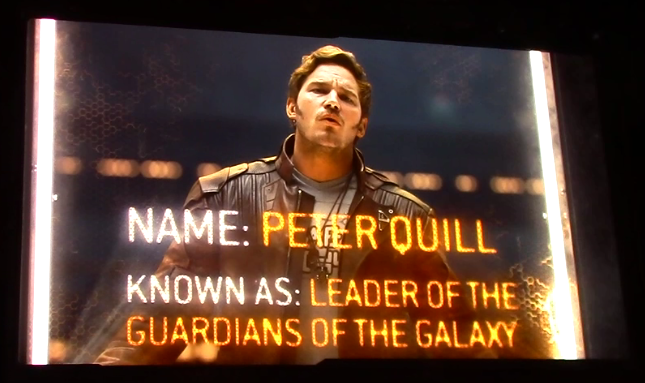 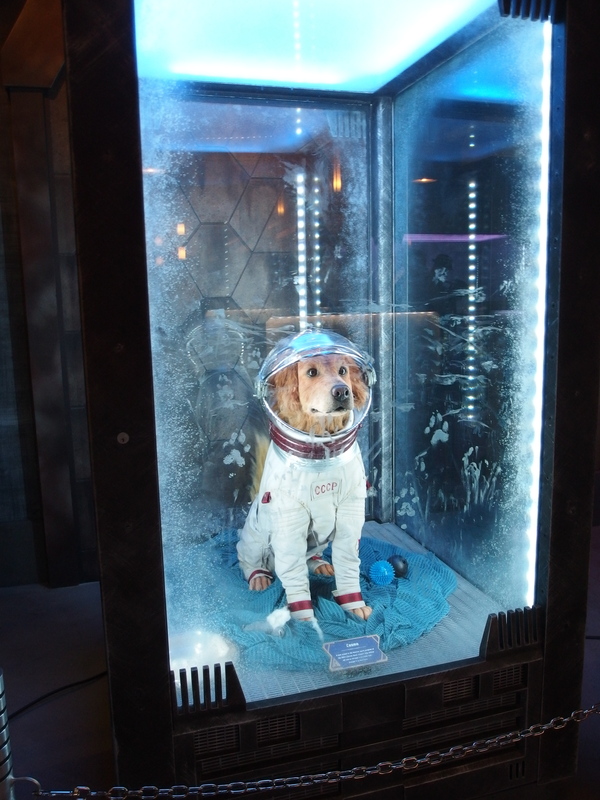 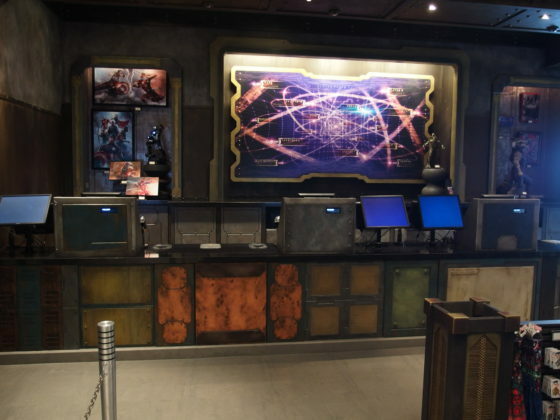 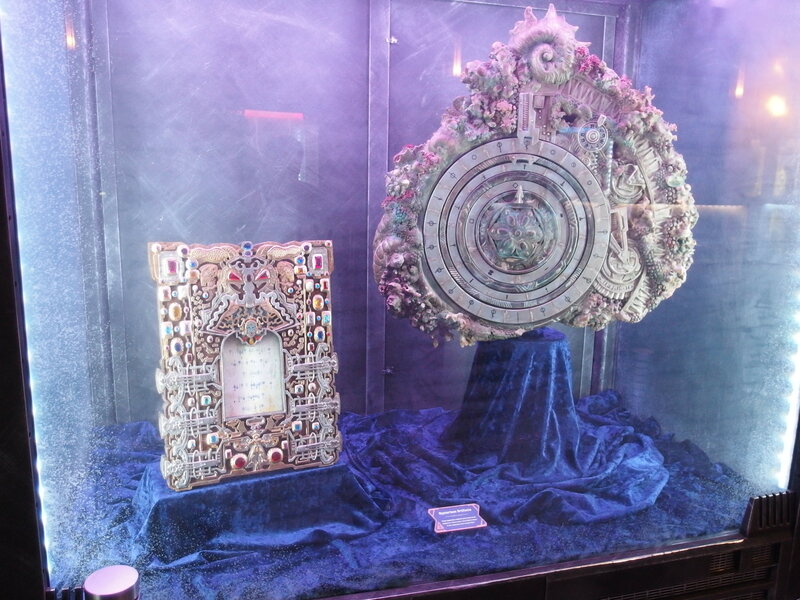 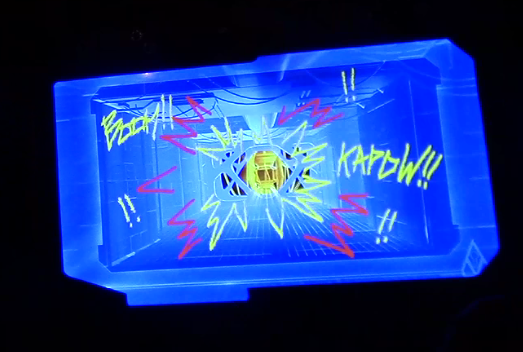 Depending on the visit, guests may see the moment the Guardians make their escape, witness their battle with an Abilisk, watch Peter Quill deal with some pesky Orloni, or see the effects of anti-gravity. 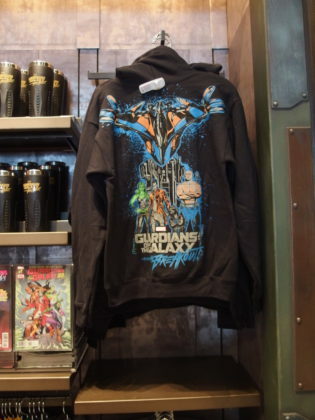 While seeing the authentic Guardians in person is itself a treat, there is a lot going on in the background as well. 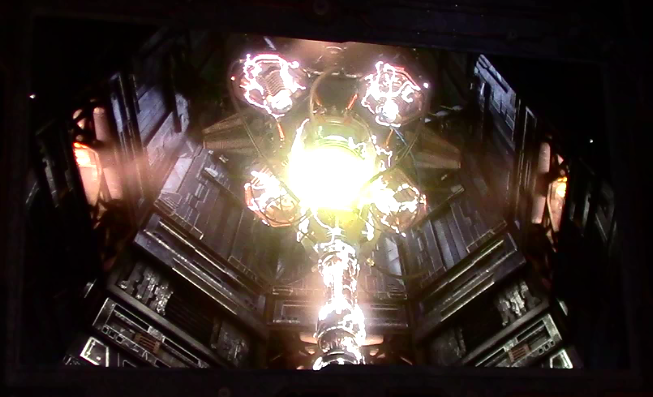 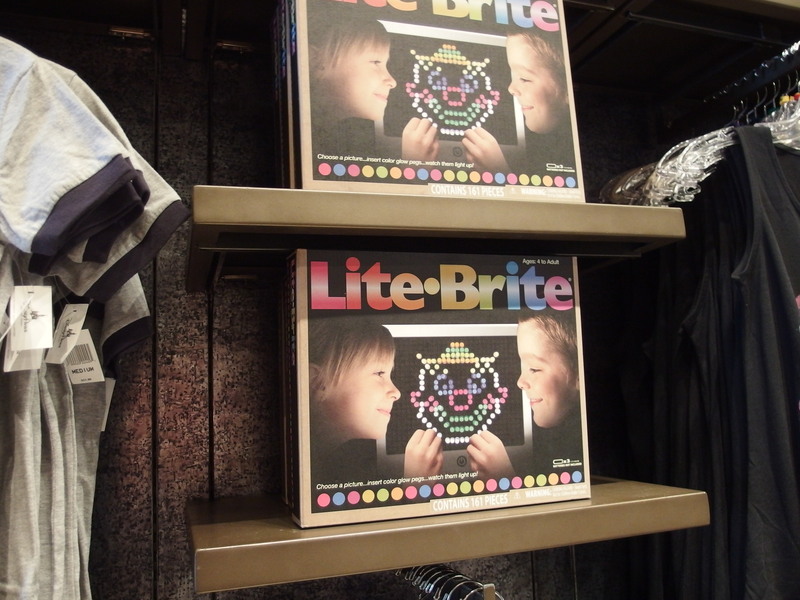 This one will require many repeat visits to see it all. 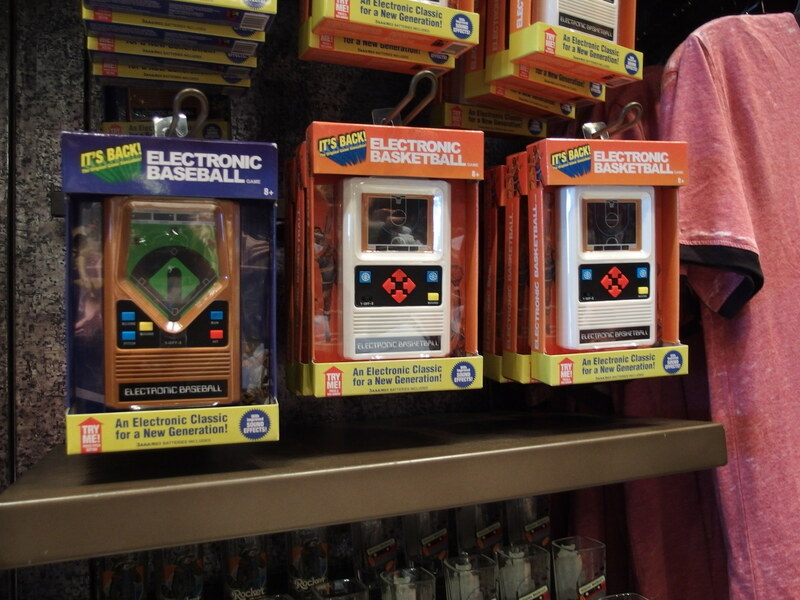 Vintage style “Mattel” Electronic Basketball game, just like the one Peter Quill uses in the opening scenes of "Guardians of the Galaxy Vol. 2"
The Collector’s Fortress is an outpost, and very likely a preview of new adventures to come. 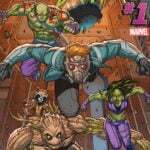 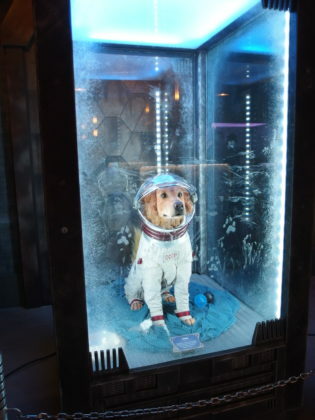 If it is any indication of what is ahead, the galaxy is safe in the hands of Star-Lord, Gamora, Drax, Groot and their pet rodent.